Run your profits, cut your losses. Get to grips with maximising your gains by running your profits and you’ll have mastered one of the key aspects of successful trading. Without the ability to run profits, a good risk-management plan can be meaningless. If a trader is able to cut risk well but can only achieve very small relative profits, it’s extremely difficult to get ahead and become net profitable. Generally speaking, you should keep your reward/risk ratio at least at 1:1, or even higher. The only instance where a ratio of less than 1:1 can be used is when your winning trade ratio is extremely high. When trying to run profits, it’s not always necessary to be excessive, especially when trading short-term time frames. Keep in mind that the further that profits are run, the lower the overall win ratio tends to be, if all other factors are kept constant. In other words, when you’re targeting greater profits, you may hit your stop loss more often. This is simply due to the element of probability. Achieving a close profit target is more likely than hitting a distant profit target before the stop loss is hit. So, a 3:1 or 4:1 reward/risk ratio will generally result in substantially fewer winning trades than a 1:1 or 2:1 ratio. One method of dealing with this probability element and to take some guesswork out of profit-targeting is to actively manage open trades. This is an alternative to non-management of trades, where the entry, stop loss and profit target are all pre-determined and set according to the trading plan, the tested trading strategy, and the risk-management plan, which is also an acceptable approach. If you choose to actively manage your open trades, there are several methods you can use, including moving (or trailing) stop losses and scaling-in and scaling-out. Moving, or trailing, stop losses involves shifting the initial stop-loss after a certain profit level is reached. This is to help decrease potential losses and ultimately lock-in gains if the position moves into further profit. Stop losses should be moved in the direction of the trade, and not in the opposite direction of the trade. For example, after opening a long position, the stop loss should only be moved to higher prices to lock-in any gains and never to lower prices in an attempt to allow the position ‘more room’. Trying to do this can open you up to large losses. The first stop loss move is often to the break-even trade entry level after a certain profit is reached. Some traders only move stop losses for specific reasons – for example, the price has reached another plateau, or a new support/resistance level, or a consolidation pattern. 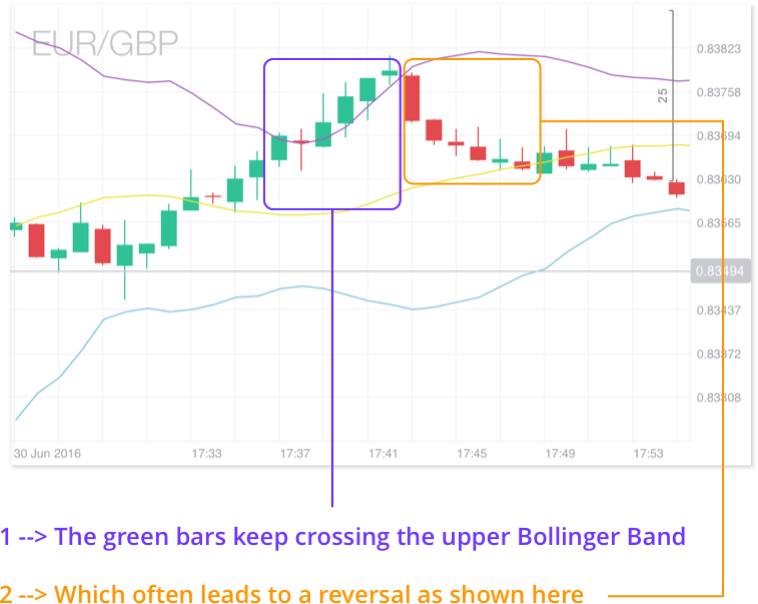 It’s not usually a good idea to simply trail the stop loss by a random number of points or pips, as this introduces a level of unpredictability into the trade.